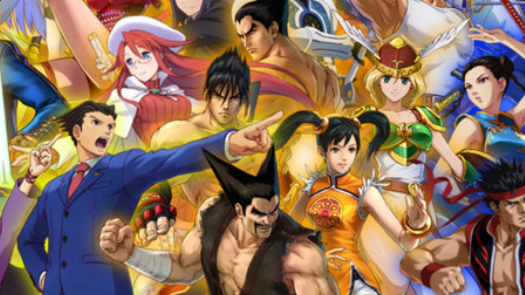 Project X Zone 2 is a zany hodgepodge of familiar and niche characters with flashy battles. But is it a worthy contender amidst other strategy RPGs out there? Find out in our review! The Project X Zone series is above all else, a nostalgic romp. If you don't adore the iconic characters from the franchises of Capcom, Sega, and Bandai Namco, it's going to be hard to understand why these games are unique. In a world where sales figures are the master and commander of the development train of games, Project X Zone doesn't mind being what may be the most gratuitous piece of fan service ever, even at the risk of lower sales. The biggest factor in enjoying Project X Zone 2 is to recognize it for what it is. For all the beloved characters of Street Fighter, Phoenix Wright, Tekken, and other classic series, it's a way to celebrate their unique personalities and provide the player with a ton of entertaining what-if scenarios. What if Tekken's Jin Kazama joined forces with Ryu from Street Fighter to fight monsters from Resident Evil? How would they react, and what zany hijinks would they get up to? Project X Zone 2 continues the series tradition of displaying these pairings with panache, and for fans of the series portrayed in the game, it's a hilarious and exciting adventure. The colorful and highly detailed sprite-based characters explode across the Nintendo 3DS's screen with over-the-top fighting moves. Each playable character pairs up with a partner from their own series. So X and Zero, Dante and Vergil, and so on will complement each other and act as one single unit. Like the first entry in the series, combat is mainly performed by inputting button combos to have your pair of characters jet into action onscreen. However, the real strategy comes from character movement as opposed to which attacks you choose. Having two sets of characters adjacent to each other allows for powerful support and cross attacks that devastate the enemy. Solo characters can also attach to the main pairs of characters that will jump in and help with a button press. Unfortunately, the strategy doesn't run deep with Project X Zone 2. Most of your time in battle will be spent looking at the same attacks over and over, and although there are some timing elements to them, they're largely meant for nostalgic enjoyment. As far as turn-based strategy goes, Project X Zone 2 is gorgeous, with each character using attacks and weapons native to their various series, saying quips, and generally cheesing it up. But that's it. There's no great depth to fighting, and no grand strategies to plan. You just keep pushing through battle after battle and story exposition and this is what is going to make or break this game for players. If you're not versed in the lore of the various series whose characters are represented here, you probably just won't care to play Project X Zone 2. There's not enough depth of story here to hold those not previously involved with the characters, a fact that is somewhat of an in-joke in the game. The narrative only serves to move you to where you can see more characters do more things. It's far too generic to entrance newcomers to these characters' backgrounds. The battles have the same issue with depth. There are far more complex and rewarding turn-based RPGs and with Fire Emblem Fates hitting shelves, fans of the genre have a much better all-around game available for around the same price. Even those who love Capcom, Bandai Namco, and Sega are at risk of growing fatigued by the constant sameness of the package. The saving grace here is that the dialogue is well-written and the team that translated it was able to keep the humor flowing. It's odd, in Project X Zone 2, many of the characters have more dialogue than they do in their original games. It left me feeling like I knew the characters better coming away from it, especially the fighting game characters like Ryu, Ken, Jin, and others. It didn't feel like they were all a bunch of sock puppets that were just filling a role like many cross-overs do. Instead, it felt like the world of Project X Zone 2 was written around the characters instead of trying to shoehorn them into places they didn't belong. For fans of Namco Bandai, Capcom, and Sega, Project X Zone 2 is full of the characters you love, in-jokes you'll laugh at, and over the top attacks and pairings that would make a FanFiction.net author blush. However, if you're just looking for a turn-based RPG to sink your teeth into, there's better to be had on the Nintendo 3DS. This review is based on a download code provided by the publisher. Project x Zone 2 is available digitally and via retail for 39.99. The game is rated T.
I think something went wrong here. So, is that a helicopter noise? IS THE GAME ABOUT HELICOPTERS? This is the most pretentious, post-modern review I've ever seen. It's a real-life review now! Sorry for all the confusion. The old one was most definitely a test. That's right. A test for, uh, seeing if you could recognize if it was actually a review or not.